Marcus Garvey was a Freemason and black supremacists. Garvey’s mentor was Prince Hall Freemason John Edward Bruce, a.k.a. “Bruce Grit”. The man who signed letters of recommendations, promoting Marcus Garvey to Masonic fraternal organization and black churches was black communist William Edward Burghardt Du Bois (W.E.B. 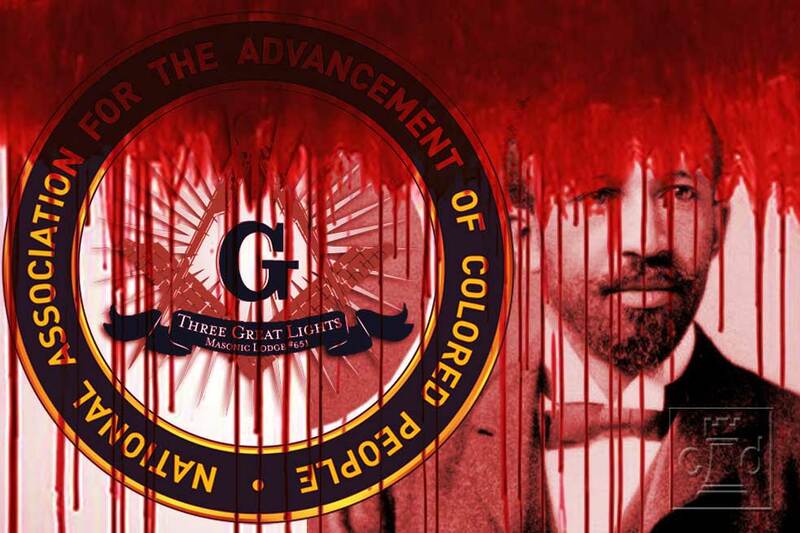 Du Bois), the founder of the National Association for the Advancement of Colored People (NAACP) in 1909. Du Bois joined the communist party October 1961, writing “I believe in communism”. Du Bois was tried in 1951, however the case was dismissed by the Freemason judge as soon as Du Bois’ defense attorney told the judge that Jewish communist fraud Albert Einstein “has offered to appear as character witness for Dr. Du Bois.” Du Bois wrote a eulogy characterizing the Jewish communist dictator Joseph Stalin – who murdered 11 million Ukrainians – as “simple, calm and courageous” https://www.bitchute.com/video/R2uleGsbMlwq/ Du Bois traveled to both Communist China and Russia, meeting with Mao Zedong (1959) who is responsible for murdering 80 million Chinese people. Du Bois was a member of the three-person delegation from the NAACP that attended the 1945 conference in San Francisco at which the Jewish created United Nations was established.